There's of course an interesting "religious" argument about whether X causes Y (I'm in this camp), Y causes X (a VERY dangerous argument), or whether its just coincidental. 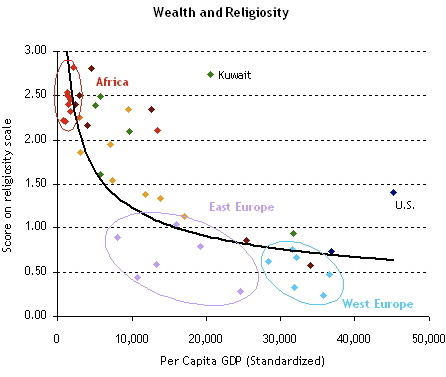 Outliers (like USA) are interesting. Would be interesting to see the outliers (Kuwait, USA, etc) further expanded among their populations. Promotion, or new distribution channel? Can Seth Godin predict the Game Business' Future?